The entire E-Learning Marketing System with all the tools, resources, support, audios, webinars, bonus content is $647 per month. That's it! All members receive direct and unlimited access to the exact same program we charge $25,000 as consultants to deliver offline... all for $647 per month. Now that's a great deal! We have allocated $100 of our $647 monthly price point toward marketing expenses. By partnering with you, this is a cost we will not incur. Bottom line: your members will receive unlimited access to our entire E-Learning System AND weekly Group Coaching for $547 per month. What you do with these funds is strictly up to you. You can use it to pay for additional training for your small business members, or you can pass it along to your members and reduce their monthly member fee from $547 to $219. The choice is yours. 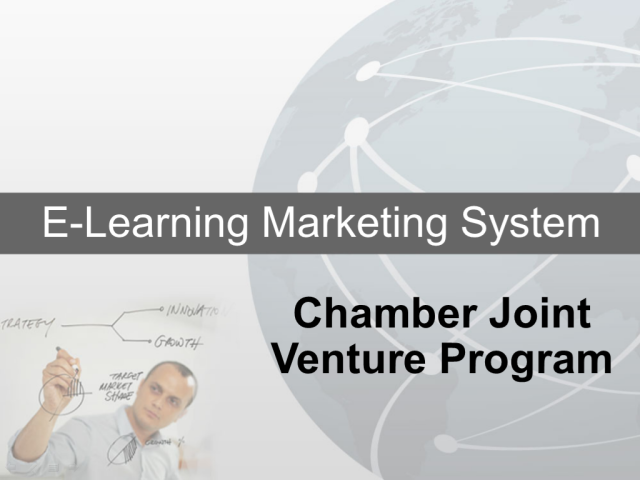 If only 100 members from your Chamber enroll in this program and remain with us for one year, your Chamber would receive $262,560.00 in annual compensation. This is passive income to the Chamber and requires zero work or effort on your part!